Move out and End of Tenancy Cleaning L13 Stoneycroft | Quality Property Care Ltd.
For an outstanding end of tenancy cleaning service, call 0151 673 0008 for Quality Property Care Ltd. and get your money’s worth. We operate early mornings till late evenings, all done by the best specialists in the business, armed with the best gear and chemical solutions delivered by Prochem. Starting with the cupboards and compartments we clean in and out, clean the holders, clean marks and close to handles, throw away unwanted things, dust the trash bin, clean on top and under it, clean the cleansing soap dispenser in and out. Any kind of unneeded things are either thrown away or are or grouped together and left in a shelter or bestowed to a home in need, if that is just what the client prefers. The sink we clean and descale, after that it is wiped clean and dried. Any food is cleaned away thrown out, dirt and dust all over the sunk is removed and wiped down. The kitchen sink is drained and the wall tiles all over it are wiped clean and dry. For kitchen appliances like refrigerators and freezers we get a particular treatment which gets rid of dirt, mildew and food deposits, the grips are wiped down, the rubber seal is washed as well as is the top of the fridge. The freezer is defrosted and washed inside and out, the door holders are also washed to remove gooey residues that may have been left by the renter. The dishwasher is washed thoroughly as well, all debris, mould and leftovers are taken out from it, filters are cleaned as is the soap dispenser. The washing machine is cleaned inside and out, its seal is checked and a cleaning program is used to clear it effectively, after which it is dried out with a soft towel. Compartments and shelving we clear out, getting rid of any excess stuff from the renter, dust through and wipe down handles inside and out. For home furnishings we have a specific upholstery cleaning service, that can be reserved in addition to the end of tenancy cleaning service. We wipe down tables and remove slimy spills and finger prints. There is a primary furniture cleaning treatment, we remove the cushions and hoover inside of the furniture to take away crumbs and dust. Beds and compartments are moved so we can clean below, sofas and other pieces of furniture are also washed so the areas below them can be reached. 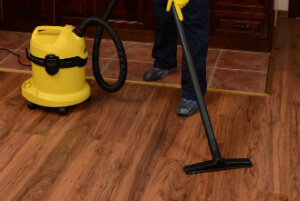 We call it fast and furious, simply because our high quality and excellent service is done by hard-working, skillful, professional end of tenancy cleaners. They start the procedure with an up front examination of the property. It allows us to arrange your end of lease cleaning service in a most adequate way. If you need to, we can schedule an urgent service, as well. Furthermore, we provide all the cleaning solutions and equipment. You don`t need to invest in anything, which is another option to make some smart savings. All end of lease cleaning chores from Quality Property Care Ltd. are performed with risk-free and infant-friendly cleaning solvents with zero chemicals. Persistent and good old stains are removed by hand, if needed. Sensitive materials are treated with special modern risk-free approaches. Kitchen equipment - freezer, freezer, dishwasher, microwave, washing machine, oven, toaster - clean inside and out, removing oilish stains, and eliminating any residue. Don`t forget to make a booking for our high quality end of tenancy cleaning service. We now have special discount rates on early booking! Receive a free quote today! Dial 0151 673 0008 now - we are flexible and understanding and we will make you an appointment in a most comfortable for you time!